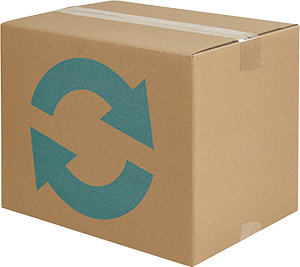 Products you buy from SkatePro can be returned/exchanged within 365 days! We offer easy returns. By returning the parcel. You have to pay yourself for the return shipping costs. ATTENTION! Please note you have to order a return label through our website or from any carrier of your choice. Note that the product is your responsibility from the time of delivery until it is returned to us. Therefore make sure that the product is securely wrapped during the shipping. Any product can be returned within 365 days after you received it. If you regret your purchase and want the entire invoice amount to be refunded, you must return all products in the same condition and quantity as when you received it. This means that you can try the item, as you would in a physical store, without outdoor or constant use. You are only responsible for a possible deterioration of the value of the product if the product has been handled in a different matter than what is needed to determine the nature and physical property of the product. If the product has been tried more than this, we consider it as used. This means that in case of withdrawal, only some or none of the purchase amount will be returned to you, depending on the products trading value. Of course, there is no returning right on products, that have been customized for a specific customer's need. Do not start using the products. Contact us first via email or call us at +44 330 027 0202 and tell us about the problem. According to the Danish Act of Sale of Goods, you have a right of complaint of 24 months on all products. This right of complaint means that you, the customer, can complain about the deficiencies of the product, which has been present at delivery. It is, however, a prerequisite that these deficits are not caused by your incorrect use of the purchase or other injurious behaviors that have led to shortages. If the claim is approved you either get it repaired or replaced, a refund or reduction in price, depending on the specific situation and SkatePro’s assessment. You must process your claim within a reasonable time after you have found the defect. Claims within two months are always considered as being timely. The shipping cost to return a claim will be covered, but only with a prior shipping agreement with SkatePro. In most of the cases, we are able to evaluate a claim case without the need of sending the product back right away. You will get the fastest assessment of an issue by sending us an email with a description and some conclusive pictures of the flaw. Send in the product along with a detailed description of the flaw of the product, including the cause of the damage. When returning goods, we politely ask you to issue the return online or print the return form directly from our website, then fill it out and add it to the return parcel. If you want to return a product without using one of our return services, we will cover the costs for the cheapest return option, if the claim evaluation results in a positive outcome. Note that the product is your responsibility from the time of delivery until it is returned to us. Therefore make sure that the product is securely wrapped during the shipping. You can read more about your right of withdrawal here.